Abstract: Stream data processing is about identifying and responding to events happening in your business, in your service or application, and with your customers in near real-time. Sensors, IoT and mobile devices, and online transactions all generate data that can be monitored constantly to enable a business to detect and then act on events and insights before they lose their value. The need for large scale, real-time stream processing of big data in motion is more evident now than ever before. In this talk I will draw upon our experience with Amazon Kinesis data streaming services to highlight use cases and discuss technical challenges and approaches required to operate these services at massive scale. I will close with a look ahead to the future of stream data processing and role of machine learning over streaming data. Bio: Roger Barga is General Manager and Director of development at Amazon Web Services, where he is responsible for the Kinesis data streaming services. Previously, Roger was in the Cloud Machine Learning Group at Microsoft, responsible for product management of the Azure Machine Learning service. Roger is also an affiliate professor at the University of Washington, where he is a lecturer in the Data Science and Machine Learning programs. 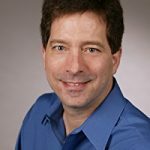 Roger holds a PhD in computer science, has been granted over 30 patents, has published over 200 peer-reviewed technical papers and book chapters, and has authored a book on predictive analytics. Abstract: Healthcare is becoming more proactive and data-rich than anything before possible – and will increasingly focus on maintaining and enhancing wellness more than just reacting to disease. Lee Hood and I have recently launched a data-rich wellness project that integrates genomics, proteomics, metabolomics, microbiomes, clinical chemistries and wearable devices of the quantified self to monitor wellness and disease. The resulting personal, dense, dynamic data (PD3) clouds enable the creation of a field we term “scientific wellness” that aims to help individuals take informed actions to enhance their wellness and help reduce their risk for disease — informed by PD3 clouds. In essence, scientific wellness becomes a key to understanding disease because it provides a framework in which to detect the earliest transition states. Analyses of these data — individually and in aggregate — will enable us to identify scientifically-validated metrics for wellness, see early warning signs of disease, and develop approaches to reverse disease in its early stages. I will present results from our proof-of-concept pilot study in a set of 108 individuals (the Pioneer 100 study) as well as data from thousands of subsequent individuals that have been profiled to date. I will show how the interpretation of these data led to actionable findings for individuals to improve health and reduce risk drivers of disease, and how they are giving us insights into human biology. I will also give big picture views of how this endeavor relates to the future of health. 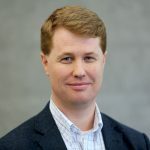 Bio: Dr. Nathan Price is Professor & Associate Director of the Institute for Systems Biology in Seattle where he co-directs with Lee Hood the Hood-Price Integrated Lab for Systems Biomedicine. He is Co-Founder and on the Board of Directors of Arivale, a scientific wellness company that was named as Geekwire’s 2016 startup of the year. He was the recipient of early career awards from the National Institutes of Health, the National Science Foundation, American Cancer Society, the Roy J. Carver Charitable Trust, and Genome Technology. He was also named as a Camille Dreyfus Teacher-Scholar, and received the 2016 Grace A. Goldsmith Award for his work in pioneering ‘scientific wellness.’ He serves on numerous advisory boards including for Roche (Personalized Medicine division), Providence St. Joseph Health, Habit, Trelys, Novo Nordisk Foundation Center for Biosustainability, Science Translational Medicine and Cell Systems. He is a fellow of the European Society of Preventive Medicine and on the Board of Trustees for the Health and Environmental Sciences Institute. Abstract: Developing software systems at Google scale requires simultaneously balancing many properties, both functional and non-functional. This talk will discuss a range of challenges commonly faced by software engineers at Google. The talk will present some of Google’s infrastructure and services aimed at addressing those challenges, the tradeoffs these services make, and the manner in which they enable architecture, design, implementation, testing, deployment and monitoring of Google’s systems. 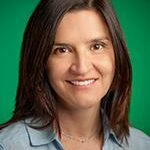 Bio: Marija Mikic is a Software Engineering Director at Google Los Angeles, where she has been employed since 2004. Her teams work on search, display, video/YouTube, and shopping ads quality. She received her Ph.D. in 2004 in Software Engineering from the Department of Computer Science at the University of Southern California. Her research interests are in the area of software architectures for large-scale distributed systems. Marija has been serving on the USC School of Engineering Industrial Advisory Board since 2012. She is on the organizing committees of ICSE 2015 and 2016. She was the program co-chair of the first International Conference on Software Architecture (ICSA 2017). Abstract: Quantum computing promises to utterly transform our ability to solve today’s most challenging problems. We give a gentle introduction to quantum computing and explain why a framework such as the Microsoft Quantum Development Kit (QDK) is essential for harnessing the power of scalable quantum computers. The QDK features Q# as a high-level domain-specific language for programming quantum algorithms. We demonstrate how Q# enables easy programming, compilation, and simulation of quantum algorithms, and highlight the existing rich set of libraries and samples. The QDK is available at https://www.microsoft.com/en-us/quantum/development-kit. 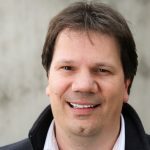 Bio: Martin Roetteler is a Principal Researcher at Microsoft Research Redmond and member of Microsoft Quantum – Redmond (QuArC). Prior to joining MSR, he was a Senior Research Staff Member at NEC Labs America (2005-2013) and a post-doctoral fellow at the Institute for Quantum Computing, Waterloo, Canada (2003-2004). Martin received his Ph.D. degree from the University of Karlsruhe, Germany (2001). In the past, he worked on projects funded by ARO, NSA, the European Union, and the German DFG. From 2011-2013, he was the main PI of the IARPA QCS project TORQUE, a joint effort between Raytheon/BBN Technologies, NEC Labs America, U Waterloo, and U Melbourne. Martin’s current research focuses on quantum algorithms, quantum programming languages, and quantum circuit libraries in Q#.